Spot trends. If you’re a pop songwriter, these words can help you put your finger on pulse on the market and tell you what the people want to hear. Suppression list. If you’re trying to be unique, you might want to avoid using these words in your songwriting. However, some of these words are so ordinary that you may have trouble completing thoughts without them. Song prompts. Word clouds make great song prompts. Use the list to come up with song titles, song plots, opening lines, or any other lyrical idea. 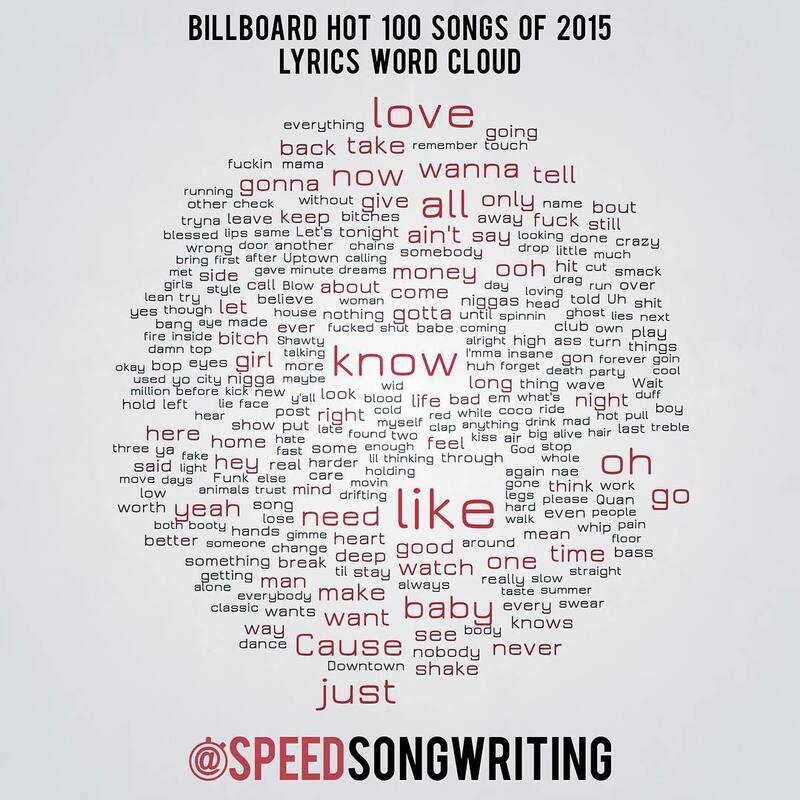 Grab your Speed Songwriting Cheat Sheet, brainstorm a title, and finish a song! Hey Graham, I got the songwriting modules to improve my writing output. I use to write at least 16 bars and a hook from about middle school until the end of high school. Life isn’t as easy as it once was and I have limited time so I figured I’d give it a shot. Haven’t even started the modules just been studying the bonus items and references you have and already can tell that the modules will be life changing. Thanks for all you do, looking forward to the modules!!! I’m falling in love with the course I’m taking.